Welcome home, Colley family!!! Continuing to pray for you all as you make the adjustment of being back home and getting into new routines. Continuing to pray for you as you begin this next stage of your journey at home! Oh, how wonderful it is to hear you are all home TOGETHER! What a journey you have had and will continue to have. GOD IS GOOD!! Welcome back! 🙂 Continuing to pray for Ava, you and the rest of the family. WoohoO! What an answer to prayer! We will continue to be praying for you guys, that you will have peace, rest, and energy for the weeks ahead! Yay, Ava! 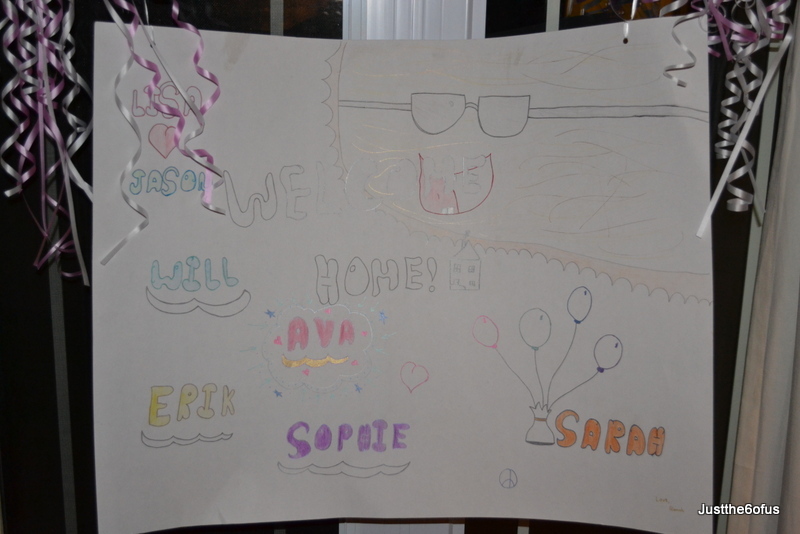 Wonderful to hear that you are home, with your whole family together. It will be wonderful to sleep in your own bed, and get back to your family routines. The new routines with Ava will become more comfortable in time. Good for you for putting up a sign for healthy visitors only. Ask everyone to use hand sanitizer …..that will probably cut down on germs too. 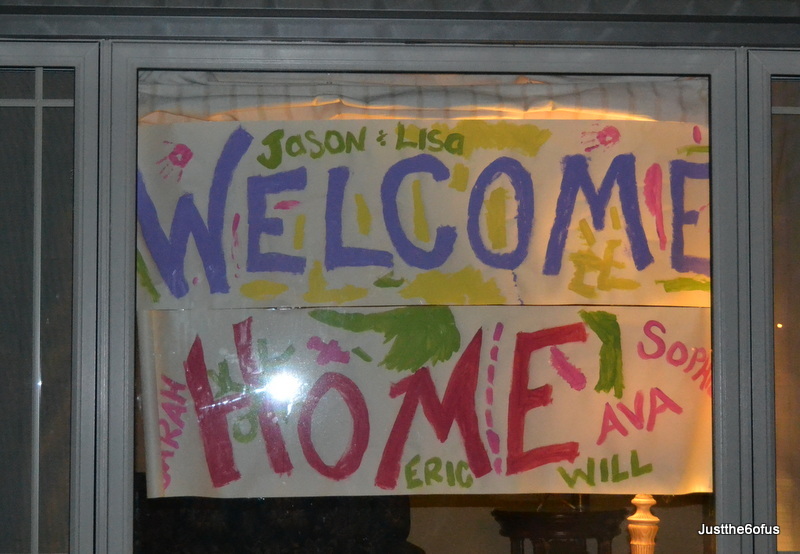 I love the photos of the signs on your house when you arrived home! A reason to celebrate for sure!! There’s no place like home!!! Anyone can have house! Praying for your family as you adjust to the new challenges set before you. We love you all! May God grant you strength each day anew. Yay, Lisa — so good to know you are back in your cozy place. I wish I was there to welcome you home after your LONG stay in TO. What a journey you are on — praying for you as you walk this road. Rest. in. Him. Whhhhoooo hooooo hip hip hoooray. so happy to hear you are back. Ran into Kim at the mall and she told me about the poster she and Monica made. Yes you DO have great neighbors, but i have a feeling you are pretty great to them too! So so happy for you Lisa, I am here if you need anything and will pop over when things settle down and you get into a routine with everyone again. Blessings to you all and a deep breath and sigh of relief for you and your family here at the Case/Rickard house.